In Shanghai, China, physicist Ruxin Li and colleagues are breaking records a pulse laser at the Shanghai Superintense Ultrafast Laser Facility (SULF). At the center is a single cylinder of titanium-doped sapphire about the width of a Frisbee. In 2016, it achieved an unprecedented 5.3 million billion watts, or petawatts (PW). The pulses are powerful but last less than a trillionth of a second. The researchers are now upgrading their laser and hope to beat their own record by the end of this year with a 10 petawatt shot. 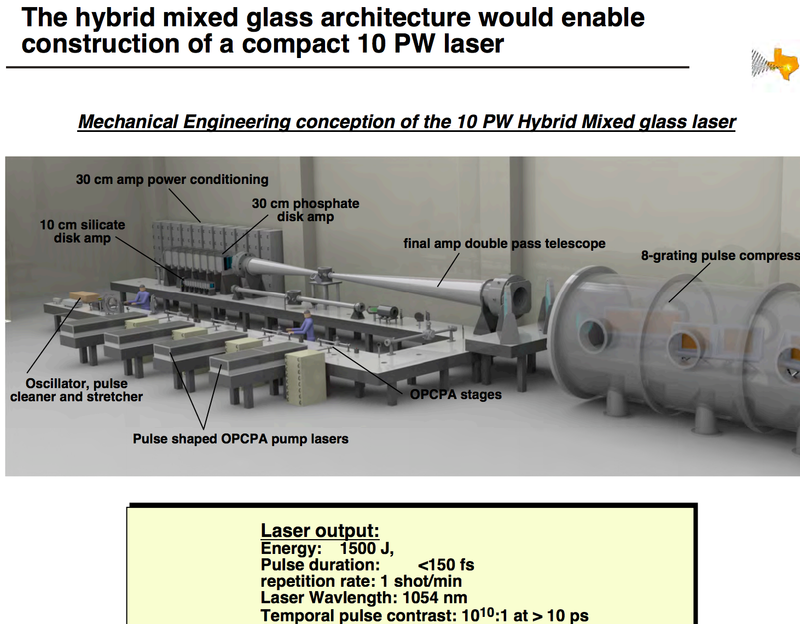 They will start building a 100 Petawatt laser. They hope to complete the Station of Extreme Light (SEL) by 2023. 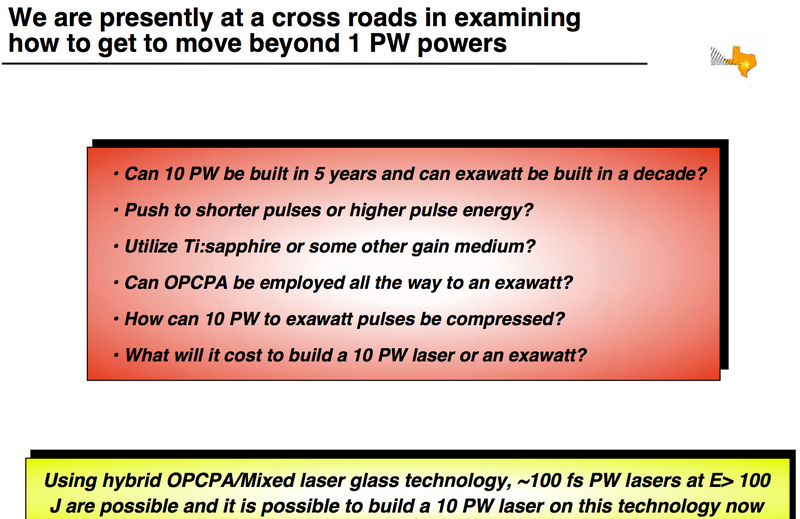 The Chinese group is leading the way to 100 Petawatts, says Philip Bucksbaum, an atomic physicist at Stanford University in In the next few years, 10-PW devices should switch on in Romania and the Czech Republic as part of Europe’s Extreme Light Infrastructure, although the project recently put off its goal of building a 100-PW-scale device. 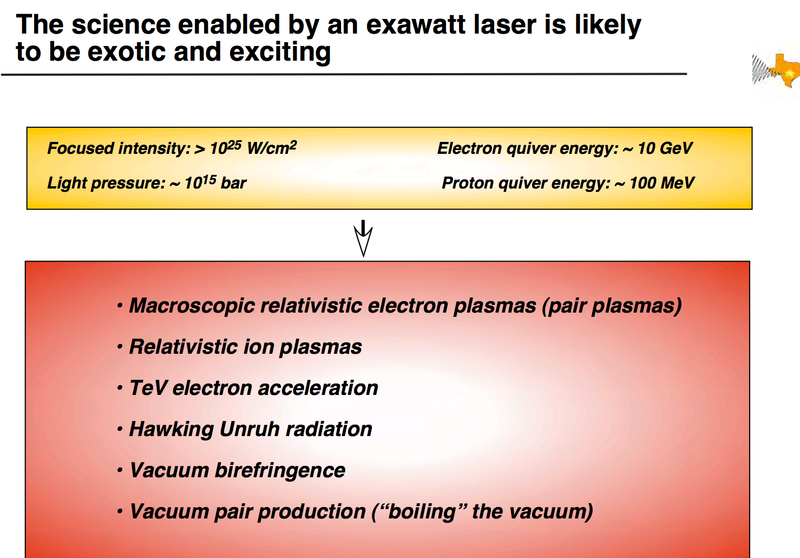 Physicists in Russia have drawn up a design for a 180-PW laser known as the Exawatt Center for Extreme Light Studies (XCELS), while Japanese researchers have put forward proposals for a 30-PW device. 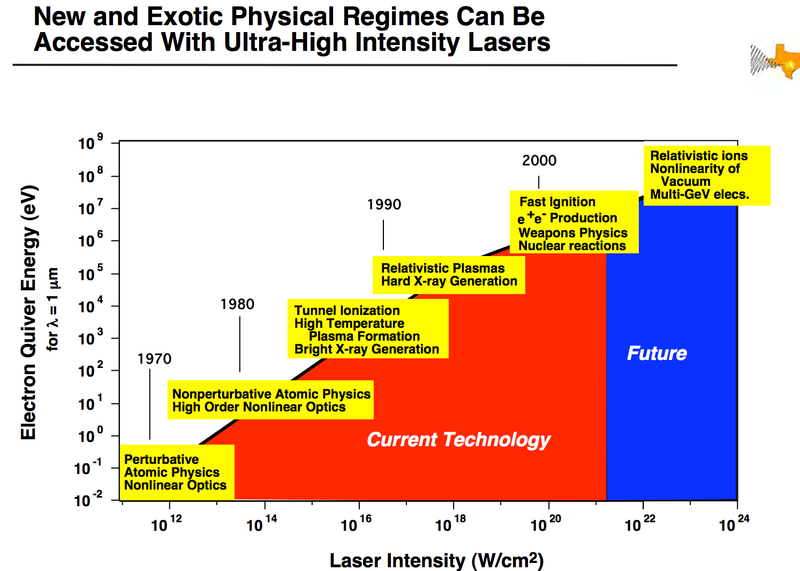 Ultrapowerful lasers have been increasing in power by 1000 times every ten years for the past forty years. 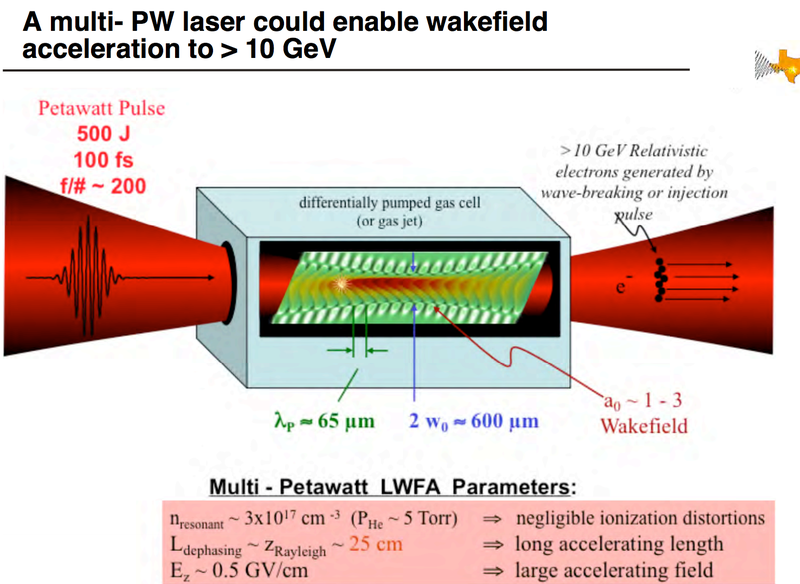 In 2015, Japan fired a 2 petawatt laser and believe this could be a pathway to commercial nuclear fusion. 10 petawatts will be reached in 2018. 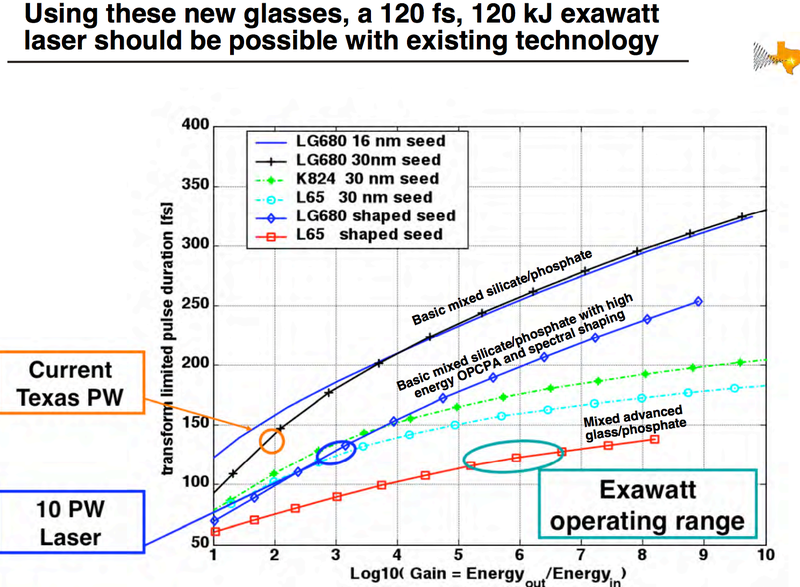 The formulation for the glasses needed for exawatt lasers is known. 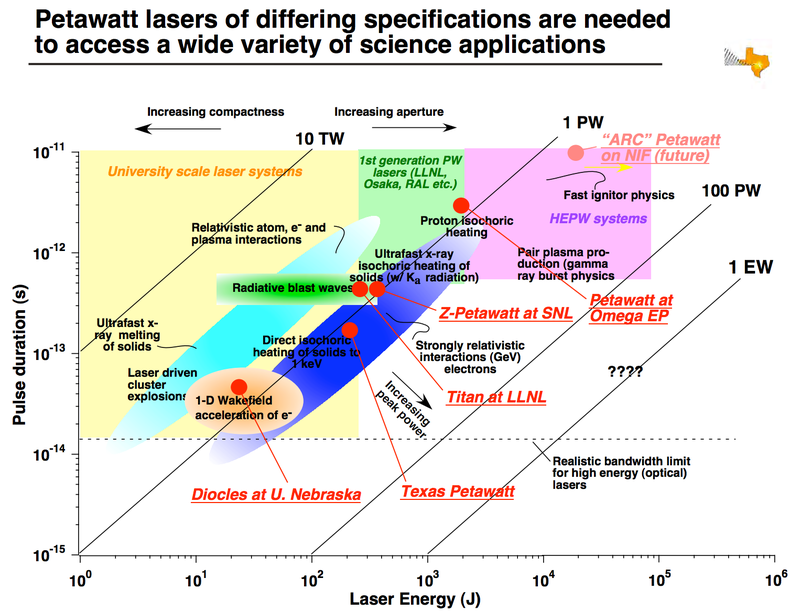 The International Committee for Ultrahigh Intensity Lasers provided a 56-page report on global ultrahigh power laser projects. Ultra-intense lasers are lasers with capabilities exceeding 10^19 Watts per square centimeter (10 quintillion watts per square centimeter). This community is rapidly increasing in size both in terms of capability and investment. 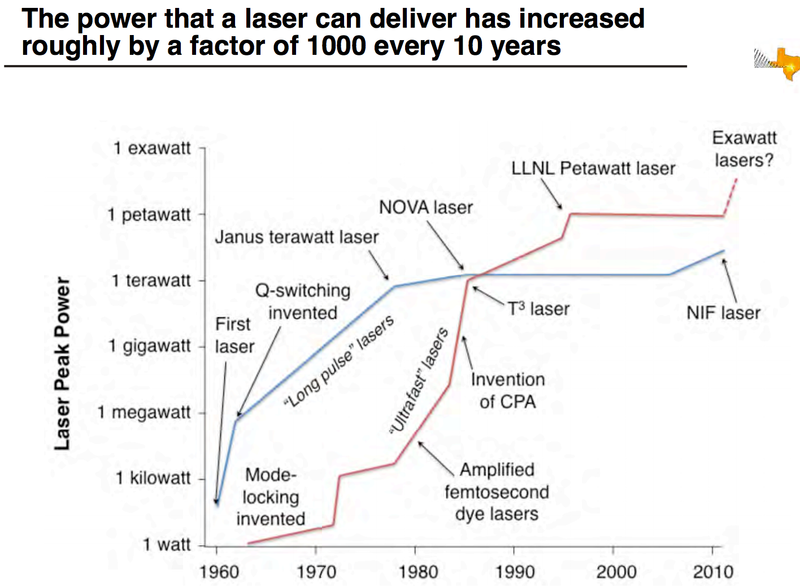 The cumulative laser power from all “ICUIL” qualifying lasers in 2010 was estimated to be ~11 PW. By present estimates this total will exceed 120 PW by 2018. Ultra-high intensity laser projects worldwide now total more than $4 billion in research investment and involve more than 1500 FTEs of technical staff. ELI-NP, a European research center to study ultra-intense lasers interaction with matter and nuclear science using gamma and laser driven radiation beams is located in Magurele, Romania. The total cost of the facility will be 300 million Euros and commissioning is scheduled to take place in 2018. The ELI-NP facility combines a high power laser system (HPLS) with two arms of 10 PW having intensities on the target in the range of 10^23 W/cm2 (100 Sextillion watts per square centimeter). 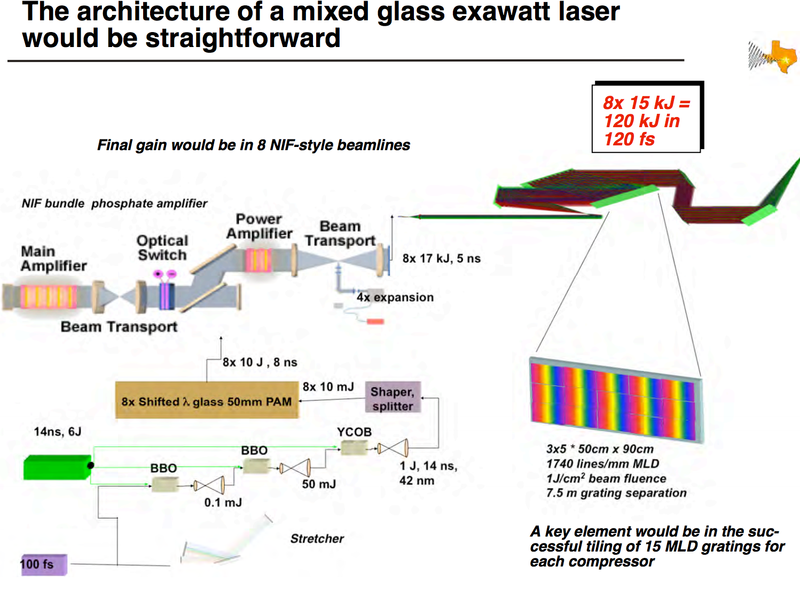 A gamma beam system (GBS) will deliver up to 19 MeV photons with extreme brilliance and bandwidth and is based on Compton scattering of a high repetition pulsed laser beam on a relativistic electron beam produced by a warm linac of 720 MeV. A High Power Laser System (HPLS) is being constructed for the ELI-NP (Nuclear Physics) pillar in Magurele, Romania. The HPLS consists of two main beams, each delivering 10 PW peak power at a repetition rate of 1 shot per minute. In addition, each leg will be capable of delivering 100 Terawatt at 10 Hz and 1 PW at 1 Hz. The ELI-NP team recently achieved compressed pulses with 28 J at 1 Hz with 21 fs pulsewidth, yielding 1.3 PW in a beam measured to have a Strehl ratio of 0.92. National Energetics is working to deliver the L4 beamline, a 10 PW (1.5 kJ in 150 fs) at 1 shot per minute, to ELI Beamlines in Czech Republic. 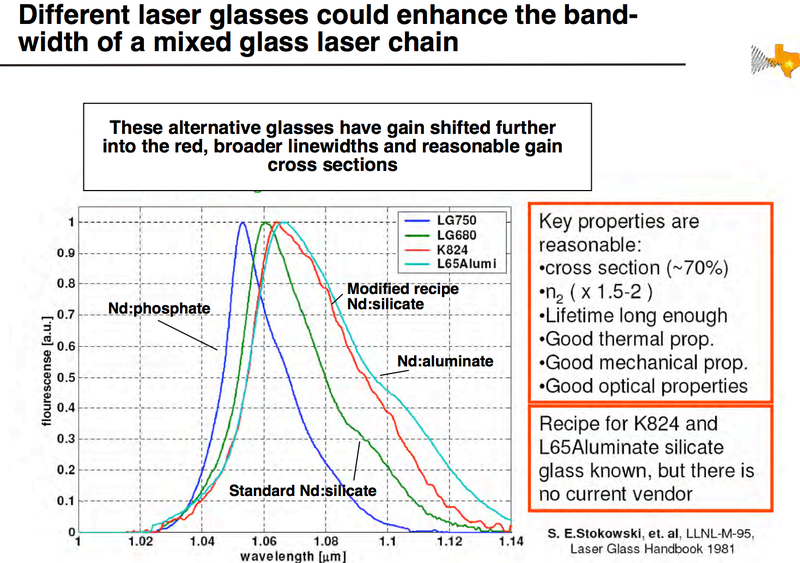 The laser system is based on Nddoped glass as a gain medium. The thermal management of the power amplifiers includes liquid cooling of multiple slabs in a split-disk configuration. 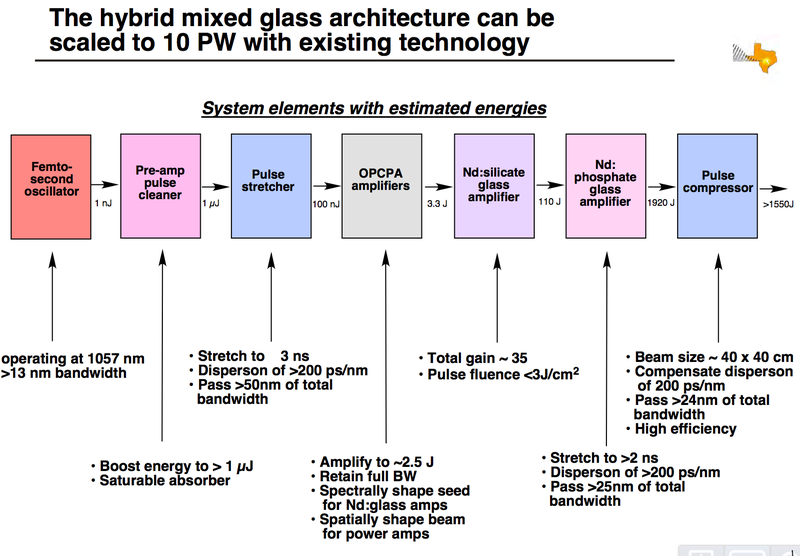 The spectral width is increased to support 150 fs pulses by mixing Silicate and Phosphate glass amplification media. neutron source yet measured (over 10^18 n/cm2 in a 50 ps pulse), the highest measured positron to-electron ratio pair creation in a solid (~50% in a Pt rod), and high energy (~100 MeV) proton yields. Following improvements to the laser wavefront and focusing system, the Texas group expects to reach intensities above 10^22 W/cm2 (10 Sextillion watts per square centimeter). IZEST endeavors to unify a number of exawatt class facilities around the world. Almost 30 laboratories in 13 countries have signed a collaboration agreement. A new pillar within the IZEST organization, known as ZeptoScience, was formed. 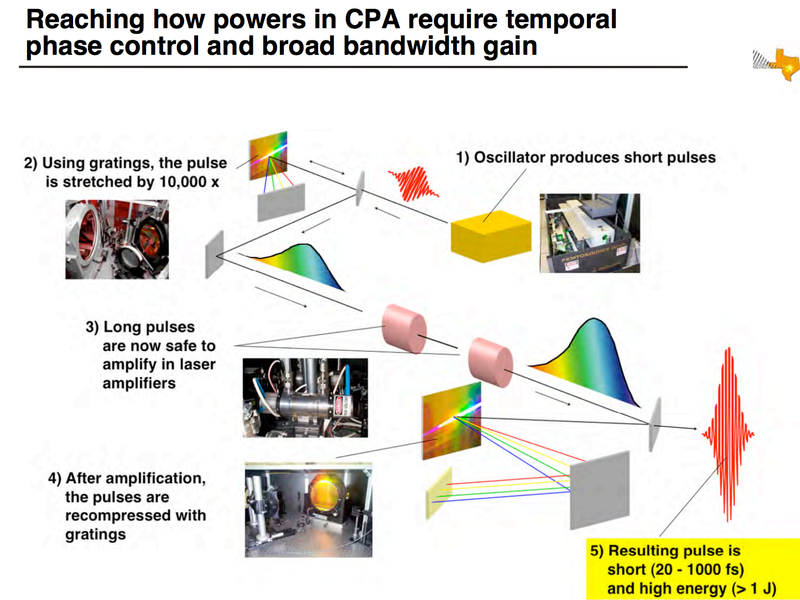 A ZeptoScience team is performing experiments to test the methods to efficiently compress existing laser technologies to the few-cycle, femtosecond regime with a sufficient intensity to pursue the creation of zeptosecond pulses. 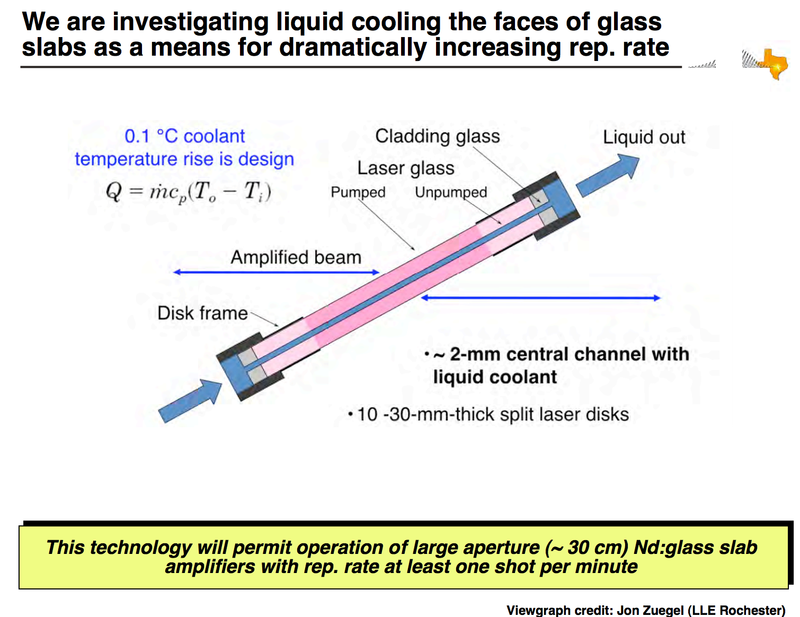 This work is being performed by a team based at Ecole Polytechnique (France), National Institute for Laser, Plasma and Radiation Physics (INFLPR, Romania), and ELI-NP (Romania). We are currently witnessing a rapid progress in X-ray free electron laser (XFEL) development across the globe, among which the superconducting RF (SCRF) linac based high-repetition-rate XFELs are leading ones. European XFEL achieved its first lasing in early May 2017, and started operational phase in early July 2017. The LCLS-II construction is now underway, and is scheduled to become operational in 2020. An energy upgrade proposal to LCLS-II, the LCLS-II-HE project, has also been initiated. Considering this international context, and in response to the rapidly growing demands from Chinese science community on the high peak and high average brightness X-ray sources, and the needs from Zhangjiang Comprehensive National Science Center in Shanghai, a high repetition-rate XFEL, the Shanghai Coherent Light Facility (SCLF), was proposed. The rapid development of new XFEL user facilities around world has opened up a new paradigm for X-ray sciences. The proposed Shanghai Coherent Light Facility is aimed to join this exclusive club as one of the most advanced user facilities by delivering fs-scale X-ray pulses from 0.4 keV to 25 keV, up to million pulses per second. The 8 GeV SCRF linac based SCLF will enable the probing of structural and functional properties of materials, including the physical and chemical behaviors in condensed matters and biomaterials, in the fundamental length (~Å) and temporal (~fs) scales. In addition, SCLF will work together with a 100PW laser facility to serve for a dedicated end-station for strong field QED physics.